American artist Max Mulhern, living in Paris, has long been fascinated by the role that luck plays in life. For the past two years, Mulhern has been sketching and painting floating dice — after earlier designing many sculptures of unrealistic boats — uniting his interest in art and chance. 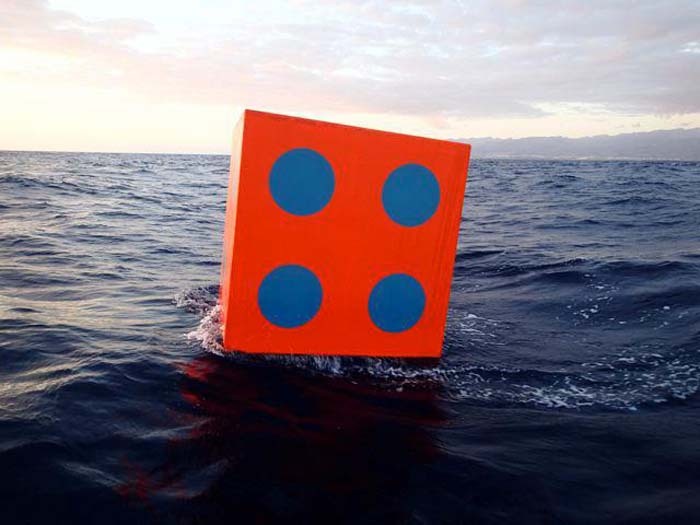 The culmination of his efforts, along with a French kickstarter-like campaign to raise funds, took the shape of two giant orange and blue dice, Aqua Dice, launched to sea from the port of Gran Canaria in the Canary Islands on the appropriately slot-machine-like date of 12/12/12. Mulhern also refers to his Aqua Dice project as “The Greatest Floating Craps Game on Earth”. The dice were made from bio-composites and are 100% recyclable. They were designed to collapse on impact and, due to their fluorescent orange color, are highly visible to any nearby vessels. Each die has a specially designed GPS unit inside within a “souffle-like” padding that will turn on once a day to enable tracking of their journey. As of January 7th the dice were about 1,100 miles west of the Canary Islands, though one of the dice started heading back east since then, separating from the other. You can see more photos of the project on Mulhern’s site and follow its progress on the Aqua Dice facebook page. And here’s an interview with the artist on the project. 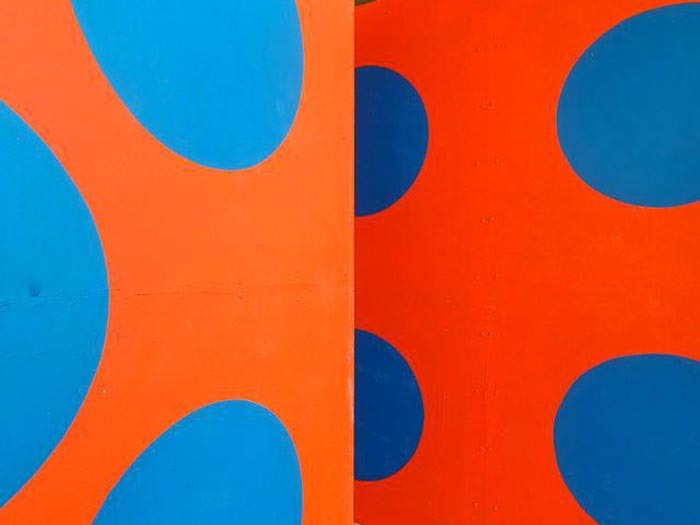 This entry was posted in Art, Fun, Industrial Design, Just Plain Cool, Stuff We Like. Bookmark the permalink.